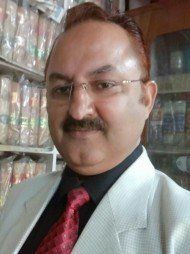 Advocate Rajesh Bhardwaj has been providing legal advice and services since 1988 and is an independent lawyer, practicing in various fields of law including Divorce, Consumer Protection, Criminal Defense and Cyber Crime. Advocate Rajesh Bhardwaj's Bar Council ID is: UP/808/1988. Chamber No. 87A District Court Compound Moradabad, Uttar Pradesh- 244001, INDIA. District Court, Moradabad, Muradabad-I District Forum + 2 more.